Season 5 of Jed Mercurio's cop drama gets off to a thrilling, gripping, surprising start. 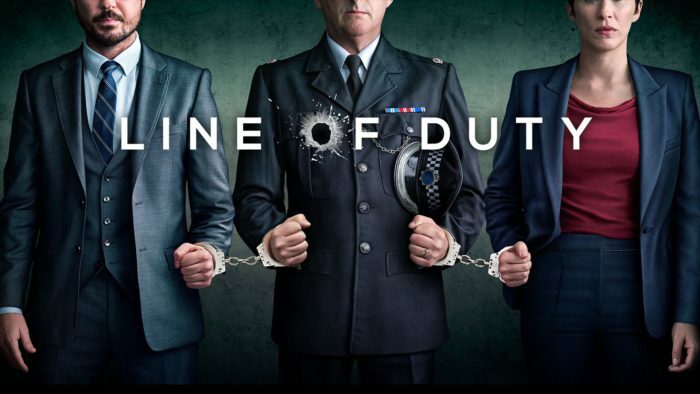 This is a spoiler-free review of Episode 1 of Line of Duty Season 5. Already seen it? Read on below for additional spoilery notes. “They’re my best team. They’ll get to the root of anything.” That’s Ted Hastings (Adrian Dunbar) five minutes into Season 5 of Line of Duty, and if you’re not already hyperventilating from nerves and stress, you’re probably watching a different programme by mistake. AC-12, by now, need no introduction, and it’s testament to how good the trio of anti-corruption officers are that it’s inordinately exciting just to see DS Kate Fleming (Vicky McClure) and DS Steve Arnott (Martin Compston) back in an office staring intently at a computer screen. It’s even more exciting because Steve now has a beard – and he’s rocking it, Captain America style. This time, they’re staring at a report about a heist that’s taken a deadly turn, as the “Balaclava Man” (remember him?) and his crew hijack secure vehicle transport ED905 and, in the process of nabbing some merchandise, bump off three police officers. Of course, an insider must have been involved, so AC-12 immediately get on the case. It’s no secret that Line of Duty loves a big twist at the start of the season, but this fifth run sees showrunner Jed Mercurio (fresh from Bodyguard) openly wear his twist on his sleeve: we spend half of the opening episode not with a corrupt copper covering up their actions, but in the midst of the Balaclava Man’s OCG (organised crime group – get with the acronyms, folks). Specifically, we get to know John (Stephen Graham) and Lisa (Rochenda Sandall). But despite the shift in focus, Line of Duty’s knack for characterisation and drip-feed pacing of details and debts is still the same, and Graham (the kind of thesp so well suited to the show that you’d expect him to have been in it already) and Sandall both do excellent work fleshing out their roles. Sandall’s tough but nervous, always on edge, while Graham is wonderfully menacing and intimidating as the ring leader – a worthy antagonist to follow in the footsteps of Season 4’s Thandie Newton. “We’re getting into business with bad people,” Lisa cautions John. “We’re bad people,” he retorts. Line of Duty packs a lot into 60 minutes, and what’s impressive – moral dilemmas and the endless nuances of corruption aside – is just how much of that is purely in the form of lengthy conversations sat at a table. Between the jargon and the questions of procedure, it rings with authenticity and remains grounded by a cast that bring personal heft to every exchange – not least because, under it all, lies one question: has the mysterious “H” that AC-12 are hoping to expose actually been Hastings all along? Adrian Dunbar’s presence is as reassuring yet unnervingly enigmatic as ever, and already promises to drive you mad with speculation over the coming episodes. Strap in, because judging by this superbly directed first chapter, Season 5 is set to be another page-turner. Welcome back, Line of Duty. Our sweaty palms missed you. 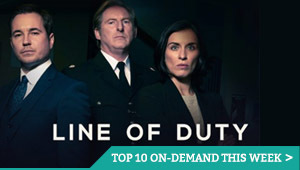 Line of Duty: Season 5 is available on BBC iPlayer until July 2019. – Line of Duty doles out its breadcrumbs of information expertly this episode, in what turns out to be a superbly judged game of leading us all the way down the wrong garden path. – First up in AC-12’s suspects is Vihan (Maanuv Thiara), who worked on the paperwork for the hijacked convoy and has gambling debts stacking up – the ideal weak point for someone bad to leverage. He immediately runs from AC-12’s all-too-familiar interrogation room, before anyone can break out the old “right to be questioned by a superior officer”, and that confirms he’s been slipping information to the OCG, after they claimed to be a betting company and recruited him. “They never said people would be killed,” he pleads, with a heart-wrenching desperation. His phone number calling someone in the convoy during the heist and a stash of bank notes under his floorboards suggest otherwise. – He points out that he was recruited by a young woman with dark hair, which immediately leads us to PC Maneet Bindra (Maya Sondhi), who is his cousin. She knew about his gambling debts, but not about his leaking info – and yet she, too, spied on AC-12, giving information to ACC Derek Hilton to stop Hilton making Vihan’s gambling debts public and ruining his career. Because nothing says blackmail like more blackmail. – “There was a code associated with the notes. 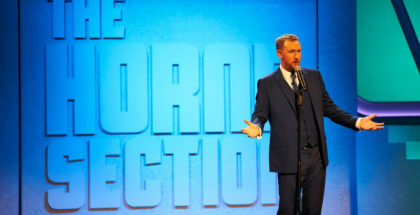 It blocks aspects to a number of cases.” That’s Martin Compston doing his best with some Basil Exposition bits of dialogue, as Steve and Kate discover that information about the heist is being withheld on the police computer system. That leads them to DS Alison Powell, who admits that she has an undercover officer (UCO) in the OCG, but refuses to discuss anything about “Operation Peartree”, lest it jeopardise her sensitive operation. – Managing information within the police is totally normal, Hastings decides, but it soon becomes apparent that Powell hasn’t been in contact with their UCO for months if not years. The only thing is? It’s a he, not a she, as the camera has repeatedly suggested. And the identity of the UCO? It’s not Maneet. It’s not Lisa, as we suspected. No, it’s John Corbett – because when you cast Stephen Graham in your series, you don’t waste him on a simple, straightforward role. – “There’s only one thing worse than a bent copper and that’s a bent copper who pretends she isn’t.” That’s Graham as John, who exposes Maneet as a bent copper, after she rings the OCG using Vihan’s codewords, hoping to help her cousin out by selling leaked info again. John, though, isn’t having any of it, and he sends her off to be killed. We end the episode seeing the look of possible regret on his face. Is he thinking that he’s gone too far to maintain his deep cover, having worked his way up the crime ladder? Or is he reflecting on how far he’s gone since abandoning his undercover mission altogether, and simply committing to life as a criminal? Previous Line of Duty seasons have hinged on questions of discovery, exposure, blackmail and secrecy for police officers inside the fold. What a thrill it is to have all those themes given a fresh angle. – All of this, of course, doesn’t answer the question about “H”. Only the undercover officer can verify whether ACC Hilton was the elusive Big Bad, as Hastings has declared is the case – based on Maneet’s testimony, and on the fact that Hilton killed himself. That, of course, would also be all too convenient for Hastings, if he were the ultimate bent copper behind it all. And, with his bank account apparently missing some funds, and him asking his receptionist about repairs on his flat (almost as if he needs an alibi on record somewhere), the question of how trustworthy Teddy really is remains far from answered. – Take a drink if you had “Document 9 in your folders” on your Line of Duty Bingo Card.